KNOX is committed to building stronger, greener, healthier and more beautiful neighborhoods in Hartford. Read more about KNOX’s environmentally-focused programs here and discover how you can become a part of Hartford’s green revolution! KNOX provides hands-on environmental education for Hartford students through our Gaia’s Guides program. Programming consists of a combination of after-school educational opportunities and in-school programming. 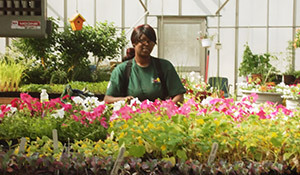 An award-winning workforce development program, the Green Crew cultivates landscaping, horticulture, and leadership skills in Hartford’s young adults. 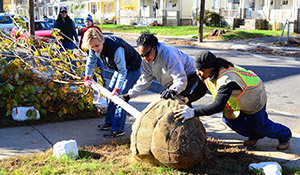 TFHN is a citywide, public-private initiative to replenish Hartford’s tree canopy one block at a time. 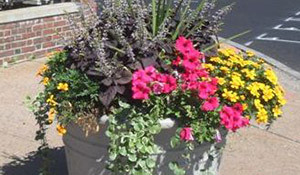 Green Crew members plant, distribute, and maintain 250 3-foot flowering planters to beautify Hartford’s thoroughfares each year. KNOX’s 20 community gardens grow fresh vegetables and fruits for hundreds of Hartford families. Corporate volunteer groups partner with KNOX to enjoy a change of pace from the routine workday and make Hartford a more inviting place to live and work. 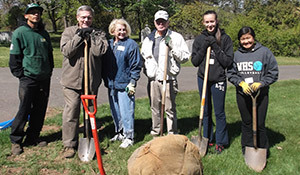 The Green Team is a network of urban and suburban volunteers who meet monthly to take on environmental projects throughout the city. 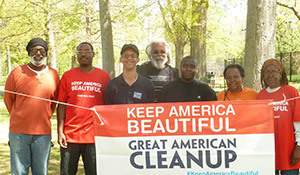 In partnership with Keep America Beautiful and the Hartford Department of Public Works, KNOX equips 1,000 volunteers with tools, supplies, and technical support for a city-wide spring clean-up every summer. 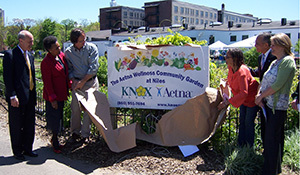 Home to KNOX’s incubator farming program and farmer’s market, as well as a teaching and demonstration site for urban agriculture and horticulture in Hartford. KNOX’s visionary programs would not exist without your continued investment and inspiration. Please contribute to KNOX today!